We want to make sure that everyone knows exactly who "The Guys" are, know exactly what it is each individual does here at the shop and even tell you a little bit of history about each one of us! Rick has more than 32 years of experience as a mechanic and has been with Westside Service for over 4 years now. Rick is an ASE certified Master Technician and has been a great addition to the team here in Holland. He and his wife Sally have two children, Kyle and Becky. In his free time Rick enjoys taking his Ramcharger to Silver Lake, hunting, and fishing. Tom has 33 years of experience rebuilding transmissions and has been with Westside Service since we opened our Holland location. He is an ASE certified technician and a Master Transmission Rebuilder. Tom lives with his wife Raquel, and enjoys hunting and fishing in his free time. 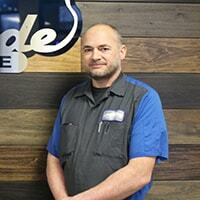 Ben has been with Westside Service for over 4 years and is an ASE certified Master Technician. In his free time Ben enjoys hunting, working on cars, and spending time with his wife, Summer. Ben is also a new father, as he and Summer recently welcomed their son Bentley into the world. 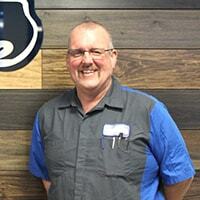 Steve is the Service Manager at our Holland location. 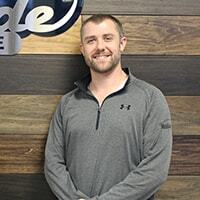 He has been with Westside for almost 5 years and is an ASE certified service consultant. Steve lives with his wife Abby and their daughter Kaydence. In his free time he enjoys softball, camping, and spending time with his family. Alan is the most recent addition to our Westside team and has been with us since this fall. Alan is an ASE certified technician and is currently working on become a Master Technician. Alan lives with his new wife Mary and their daughter Eleanor. In his free time he enjoys hunting, camping, fishing, playing guitar, and spending time with his family.